The use of torrents for file sharing is highly controversial, but it is clear that they have changed the way we access files. P2P protocols such as BitTorrent can be used to download free software or share files with work colleagues or friends. However, the reality is that most of the content transferred using this technology consists of movies and TV series that are subject to DMCA notices. Some countries have strict rules to target the distribution of copyrighted media and those who upload or download this content may face hefty fines or other penalties. In spite of the extended misuse across peer-to- peer protocols, using BitTorrent and other similar tools is completely legal. Even so, many users prefer to use torrent securely and anonymously and the best way to do it is using a VPN. 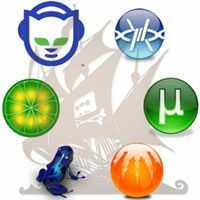 First we need to consider some important aspects about protecting your privacy while using torrent. DNS stands for Domain Name Server and it is a directory that associates website names with actual IP addresses. Windows users may experience DNS Leaks, a flaw that could eventually reveal the IP address of your computer. While you are connected through a VPN, your computer uses the Virtual Private Network’s DNS servers but in some cases, it may go back to your ISP’s DNS, meaning that your true IP could be exposed. Many VPN providers include DNS leak protection as part of their features, so you would not have to worry about this issue. Alternatively, you can opt for a third-party DNS service that is not associated to your ISP. There are options like Comodo and OpenDNS, which secure DNS servers without any cost. It is also possible to access online resources to test for leaks. Sites like dnsleaktest.com will not only check for DNS leaks, but will also provide solutions. Learn more about testing your VPN for leaks here. One of the risks of using P2P protocols is that your IP address could be seen by anyone, which makes you more vulnerable to cyber-attacks. A malicious user with certain skills could take the chance to access your computer and get hold of your personal and financial information. When you use a secure VPN, the IP displayed could be shared by several users. This means that a malicious hacker that tries to use the IP to get to your information, will end up messing with the VPN’s monitored server which will only get them into serious trouble. Your internet service provider can monitor and regulate your traffic, which may affect your connection even when you stream content from services like Netflix. To make matters worse, ISPs can keep a copy of your online data (including emails, web browsing and downloading) for up to two years, and in some cases even block websites. You can protect your data using a VPN to encrypt your connection, making sure that your ISP cannot get access to your activity on internet. The main danger you may face while accessing torrents is being exposed to viruses. Popular files may include a virus or firewall-disabling code, which means that your computer is at risk when you download from torrent. Unfortunately, this is not something that a VPN can help you with so you need top make sure that your antivirus is up-to-date. Before you download a file, go through the comments and check the ratings to get an idea of how safe it really is. In our lengthy online privacy guide, we cover malware and virus protection with free software suggestions to keep you safe. With a VPN service you can protect your privacy and if you opt for a provider that is truly committed to protect your anonymity online, you will be able to enjoy true freedom online. This is specially important for users who live in countries in which their internet activity is highly monitored and where censorship is imposed. With a VPN, your connection is protected with end-to-end encryption and your true IP is protected. Torrent users that want to maintain their anonymity should look for providers that offer features like VPN Kill Switch. If your connection is dropped for some reason, this feature ensures that the VPN software will immediately shut down the connection to internet, ensuring that your true IP is not exposed. A VPN provider that truly protects the anonymity of its users will not keep any logs of your activity online (even though some may be required to keep track of connection times) and will adapt bandwidth/connection speed to your needs. To enhance the protection to your identity, some VPN providers also give users the possibility of using anonymous payments methods like Bitcoin. Additionally, as an extra layer of protection, you should avoid using most american and European servers, with the exception of Sweden, when downloading torrents, effectively avoiding countries that have data retention laws. Now that you understand what to look for in a VPN for torrent, let’s take a look at some of the best providers you can choose for this purpose. IPVanish stand out from the competition as they own and manage their network of servers. Apart from offering a reliable VPN service, the company provides excellent technical support for their customers. IPVanish offers a high level of security for your data with its advanced 256-bit encryption and they do not have download limit. ibVPN allows P2P protocols in some of its servers and they have a feature specially designed for torrent services. Their customer support is efficient and helpful and in terms of security, you will not need to worry because they are dedicated to protect your data and keep your privacy intact. They accept Bitcoin. BTGuard promises to offer an anonymous torrent experience and even though their selection of servers is limited, they have a strong no logging policy. Furthermore, they are recommended by TorrentFreak and offer plans specially designed for users that want to download files using P2P. Their client is easy to set up and they offer 256-bit AES encryption.